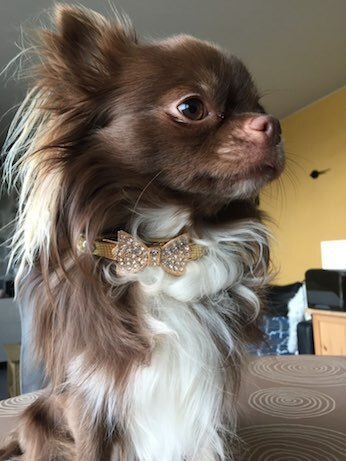 Keep your dog styling with the Gold Snakeskin Rhinestone Bow Collar. 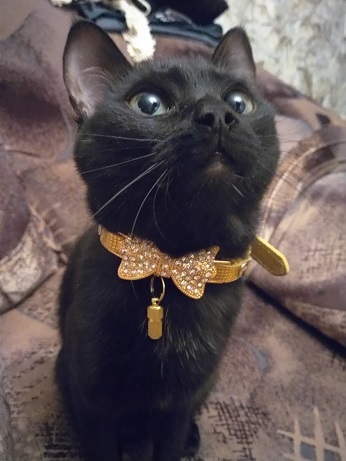 Made with fine vegan leather, this adorable collar is adorned with a gleaming snakeskin print and gorgeous crystals for a beautiful design that personifies your pup perfectly. Manufactured with the highest quality materials, this collar is sure to last through all of your pup’s adventures and escapades. Stylish. Keep your dog in style with this adjustable and fashionable collar. Premium quality. Beautiful collar is made from the highest quality fine eco-friendly leather. Unique. Designed with sturdy metal hardware and glittering crystals.